Laurameroni offers to the most ambitious customers a tailor-made service where every single element acts in creating unique and customised ambients turning the most linear and simple shapes into works of artistic skilful craftsmanship. A service that makes the product unique: the difference between atelier and prêt-à-porter. 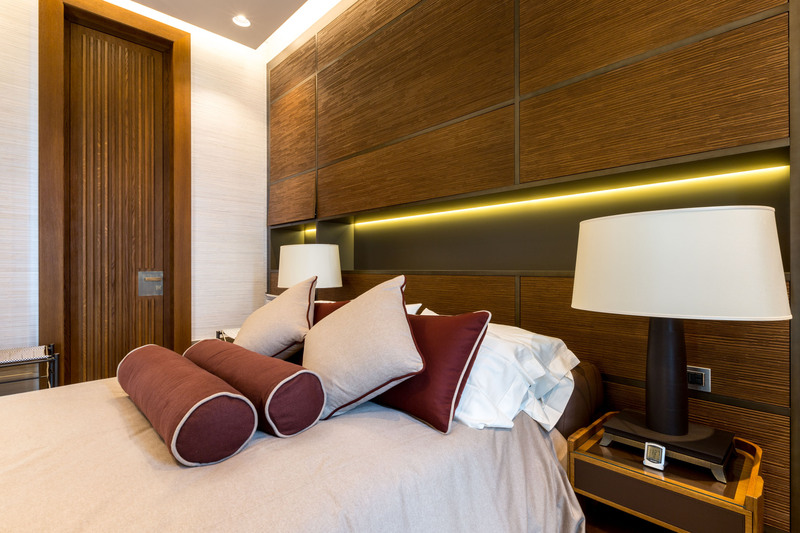 The customized Decor wall panels combine with a niche with integrated lighting to turn this bedroom into an extremely comfortable yet immediately recognizable space. To adapt to different interior projects and to answer the needs of interior designers and architects we realize special editions of our collections. Woods and metals are used to create made-to-measure solutions, designed for the most demanding clients. Our products perfectly adapt to refined public space, without renouncing to the elegance of the design and the richness of carefully selected materials. 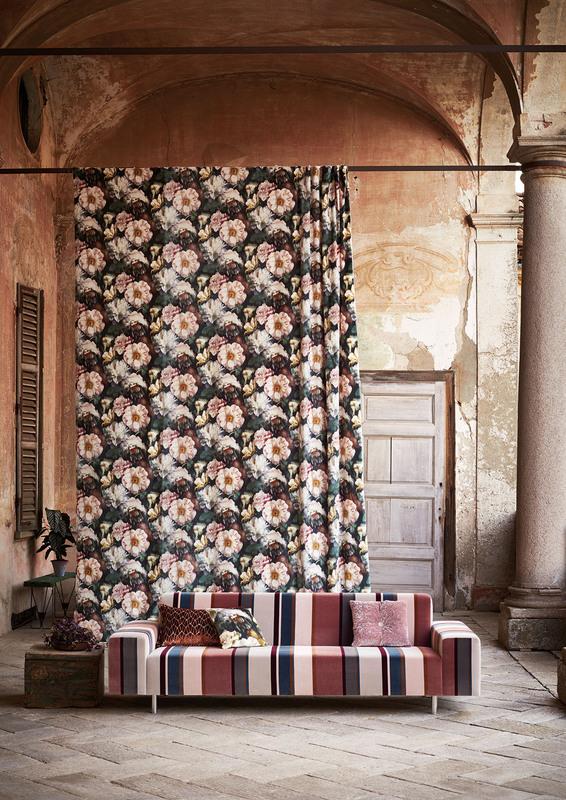 The sofas collection can be covered with client’s fabric for an amazing and completely customized style. Laurameroni products can be used in different environments: from residential spaces to commercial buildings, such as the elegant Drapé ottomans in this sophisticated store. In this elegant room, Stars Wall Panels in burnished copper are immediately visible with their distinguishing design and unique surface treatment. Silver Towers in New York are two exclusive buildings with luxury flats to rent, placed in one of the most important districts of the city. Our showroom in Alzate Brianza is an apartment fully furnished by Laurameroni where different materials fuse together. This villa, located in Moscow, has been furnished with several Laurameroni products, from our wooden to the metal products. The Lodha Altamount building, located in one of the most exclusive streets in the world, is furnished with our Decor Wall Panels. Rector Place in New York is a sophisticated residential building where you can find our Decor Wall Panels by Bartoli Design. 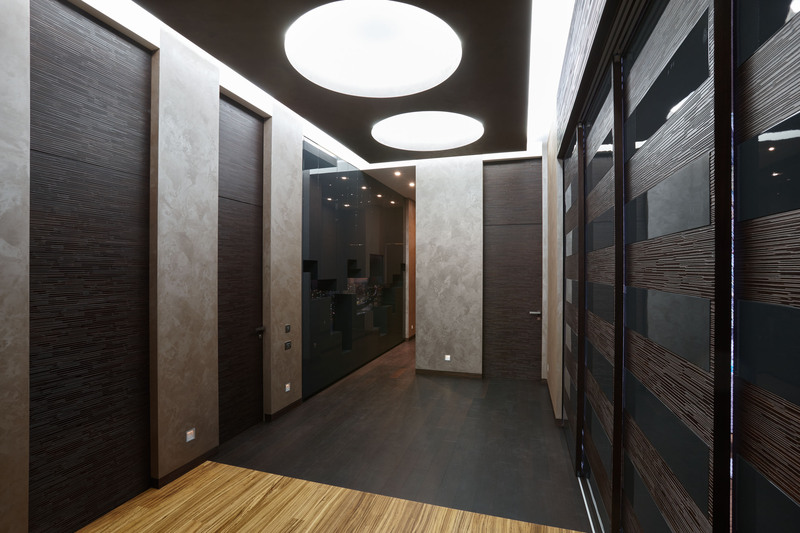 In this Bolzano company offices, you can see our Decor System by Bartoli Design combining Wall Panels, Sliding Doors, and Hinged Doors in teak wood. Our Bellagio kitchen and Decor panels and doors characterize this luxury villa in Los Angeles. 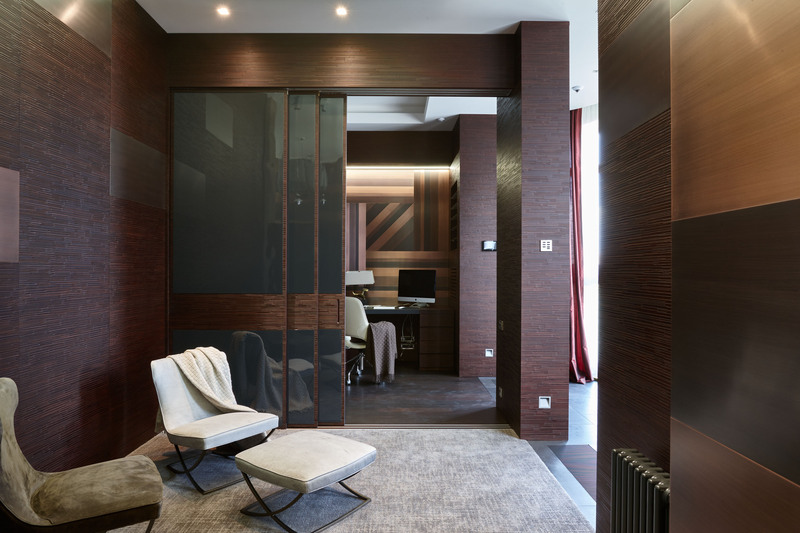 The distinguishing Bamboo Wall Panels and Doors create a dynamic effect through this luxury flat in Moscow. 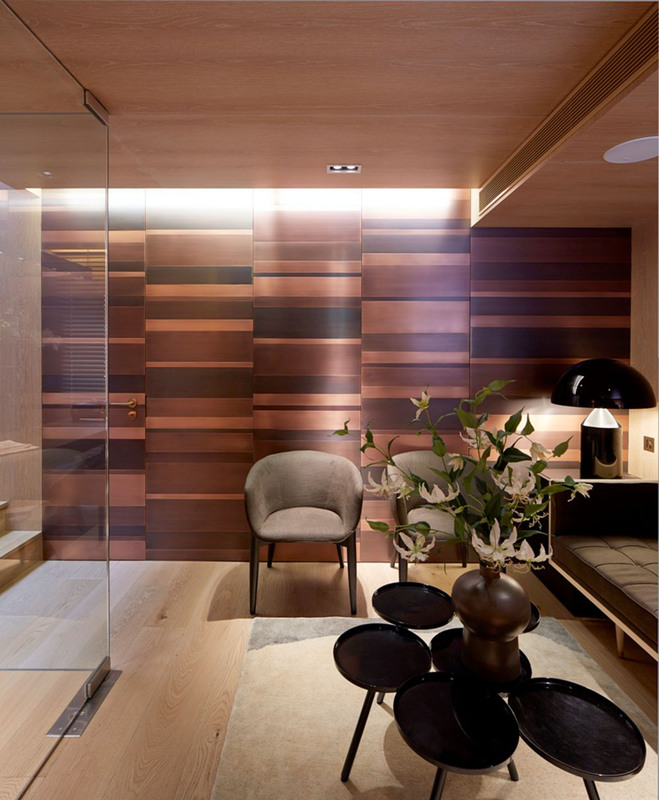 In this luxury flat in Munich, the wood is the key element of the environment, creating a warm welcoming atmosphere. In this private apartment in Paris we can see Decor Wall Panels in rosewood, featuring the elegant and unique horizontal Decor carving. In this wonderful villa in the exclusive Como Lake area we can see an elegant environment fully furnished by Laurameroni. 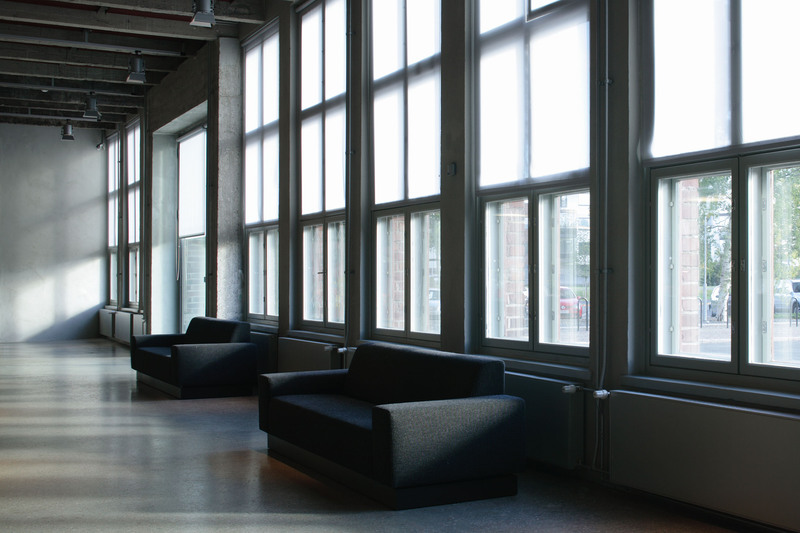 Our Milan showroom is an exclusive flat in the city centre, in the Durini Design District.